Bahrain Where is Your Right of Expression ????????? Dubai, Jan 16, 2015 - Rights groups urged Bahrain's Western allies on Friday to pressure the kingdom to drop charges against prominent activist Nabeel Rajab, on trial over tweets deemed insulting to public institutions. Rajab, a member of Bahrain's Shiite majority which has held protests against the Gulf kingdom's Sunni rulers since 2011, was released from custody in November and will stand trial on January 20. 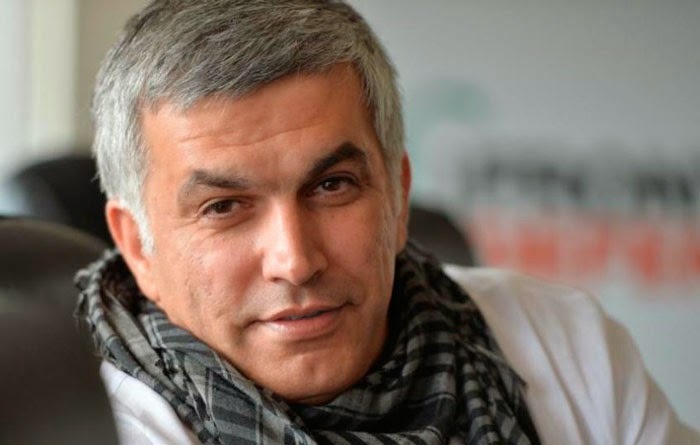 "Bahrain's allies including the United Kingdom, Germany, France and other European countries should publicly call on Manama to drop charges against the human rights advocate Nabeel Rajab," Human Rights Watch and the Gulf Center for Human Rights (GCHR) said. Rajab was arrested in October after posting comments on Twitter about the interior and defence ministries. In one of his tweets, Rajab charged that many Bahrainis fighting with jihadists in Syria were former security forces personnel who had developed extremist views while in service. Bahrain, home to the US Fifth Fleet, is among the countries that have joined the international coalition against the Islamic State group in Syria and Iraq. "This is an open-and-shut freedom of expression case," said HRW deputy MENA director Joe Stork. 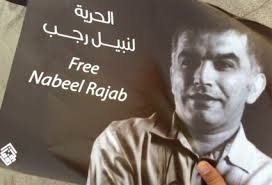 "Due process is not the issue here -- Nabeel Rajab should never have been charged in the first place." If convicted, Rajab could face six years in prison, according to the groups. "All those governments that are proclaiming their dedication to free expression should be making clear to Bahrain that Nabeel should not be jailed," said Khalid Ibrahim, director of programmes at the GCHR, a regional rights watchdog. Rajab is the director of the Bahrain Centre for Human Rights and was freed in May last year after serving two years in jail for taking part in unauthorised protests. He had led anti-government marches following a bloody crackdown on Shiite-led demonstrations against the Al-Khalifa ruling family in March 2011. Amman, Jan 16, 2015 - Muslims marched Friday in Middle Eastern cities against a new cartoon of the Prophet Mohammed published by French magazine Charlie Hebdo, as Gulf states warned the drawing could fuel hatred. The largest rally was in Jordan, where around 2,500 protesters took to the streets of the capital Amman amid tightened security, while demonstrations also took place in east Jerusalem and Khartoum. The crowd, including members of the Muslim Brotherhood and youth groups, set off from Al-Husseini mosque in central Amman holding banners that read "insulting the prophet is global terrorism". The latest issue of Charlie Hebdo, published on Wednesday, features a cartoon of the Prophet Mohammed on its cover holding a "Je Suis Charlie" sign under the headline "All is forgiven". It was the first edition of the satirical magazine to be published since Islamist gunmen killed 12 people in an attack on its Paris offices on January 7 over such cartoons. The image has angered many Muslims as depictions of Mohammed are considered forbidden in Islam. Qatar condemned what it called the "offensive" cartoon, which was also reprinted by several European papers in a show of solidarity with the victims of last week's attack. "These disgraceful actions are in the interest of nobody and will only fuel hatred and anger," the foreign ministry warned, describing them as a "violation of human values of peaceful coexistence, tolerance, justice, and respect among people." Bahrain's foreign ministry echoed the warning, saying publication of such cartoons "will create fertile ground for the spread of hatred and terrorism". Charlie Hebdo's latest cartoon is "disgraceful" and no more than attempt to "provoke" Muslims and "mock" their beliefs, it said. Both Qatar and Bahrain had sent representatives to a massive march in Paris Sunday in support of free speech, alongside French President Francois Hollande and many other world leaders. Jordan's King Abdullah II, who also attended the weekend march against terrorism, on Thursday said the latest issue of Charlie Hebdo was "irresponsible and reckless". Hundreds of Palestinians demonstrated at Jerusalem's flashpoint Al-Aqsa mosque compound Friday, some with banners reading "Islam is a religion of peace!" and "Our leader will forever be Mohammed". Israeli security forces, which control access to the compound -- the focal point of months of Jewish-Muslim tensions in the Holy Land -- said Friday prayer passed off without incident, and there were no initial reports of violence linked to the demonstration afterwards. In Khartoum, hundreds of demonstrators poured out of the Grand Mosque and marched across the adjacent square, chanting "Expel the French ambassador, victory to the Prophet of God! ", an AFP correspondent said. One banner in Arabic said: "The French government should apologise and the French government must stop insults to religious figures". 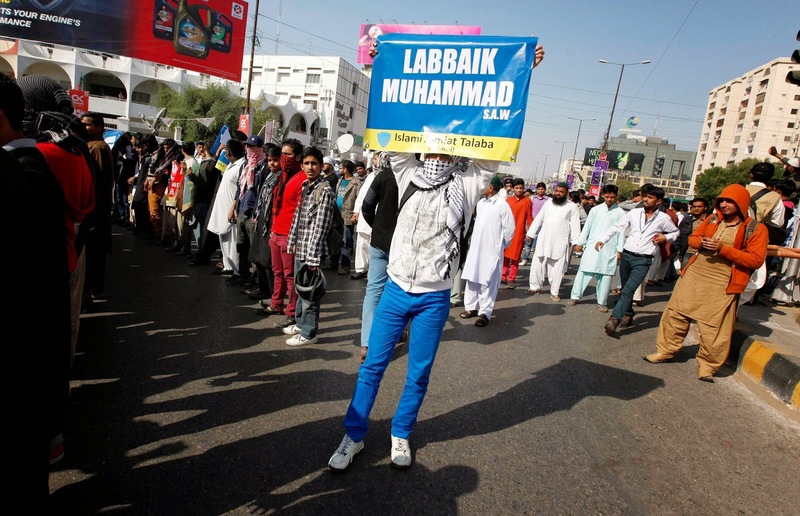 In Lebanon's northern flashpoint city of Tripoli, 70 people staged a march carrying banners bearing the name of the prophet and chanting "Allahu Akbar" (God is Greatest). In Baddawi, on the northern outskirts of the city, prayer leader Sheikh Mohammed Ibrahimi addressed hundreds of worshippers saying: "May God punish this newspaper and those who back it". A protest against the cartoon in Tehran was cancelled, with no official reason given, as senior Iranian cleric Ayatollah Ali Movahedi Kermani told worshippers its publication amounted to "savagery". In Tunis, worshippers at El-Fath mosque interrupted prayer leader Noureddine Khadmi as he delivered a sermon saying: "We are all against insults made against our prophet but it is not a reason to kill". Charlie Hebdo journalists "deserved to be killed because they insulted our prophet many times," the worshippers cried out. Saudi Arabia's top religious body, the Council of Senior Ulema, also criticised the new publication of Mohammed cartoons that it said "have nothing to do with the freedom of creativity or thought". Its secretary general Fahd al-Majid warned that publishing such images would only "serve extremists who are in search of excuses for killing and terrorism". 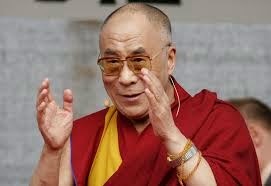 Kolkata (India) - Tibetan spiritual leader, the Dalai Lama, believes India is safe for the Muslim community, and the degree of security can be a ray of hope for the persecuted Shia community in Pakistan. “Pakistan is a Muslim country but Shias are not safe there. But Muslims are safe in India. The Shia community should come to India and (be) safe,” he said on Tuesday at a programme organised by the Presidency University in Kolkata. The Tibetan spiritual leader added that Indian Muslims can offer lessons in Sunni-Shia harmony as the Shias are safe in India. Should Marja Join Politics ? Najaf (Iraq) - Since Sunni militants of the Islamic State group overran large parts of Iraq, the country's most prominent Shiite (Shia) cleric has fundamentally altered his spiritual role and has plunged straight into politics, weighing in on government policy and the fight against the extremists. The shift by the Iranian-born Grand Ayatollah Ali al-Sistani underlines the key role played by religion in post-Saddam Hussein Iraq and takes the troubled country down a potentially dangerous path, given its deep sectarian and ethnic tensions. His role falls well short of Iranian-style theocracy, in which the top cleric has the final word on everything, but Iraq's government clearly feels it must listen to him. Al-Sistani saw it as a necessity to step in with his moral authority given the failures of politicians and the collapse of the military when the Islamic State group overran much of the north and west last summer, an aide said. In June 2014, al-Sistani pushed for the removal of then-Prime Minister Nouri al-Maliki, seen even by many of his fellow Shiites as to blame for the meltdown. Al-Maliki stepped down in August, replaced by Haidar al-Abadi, another Shiite politician who promised a more inclusive administration. The 87-year-old cleric also swiftly called on all able-bodied Iraqi men to join a jihad, or holy struggle, against the Islamic State group, and hundreds of thousands _ overwhelmingly Shiites _ responded. In the months since, the grand ayatollah has weighed in on matters in unprecedented detail, often through sermons delivered by his representative, Sheikh Abdul-Mahdi al-Karbalaie, in the holy city of Karbala south of Baghdad. A Jan. 9 sermon by al-Karbalaie, for example, showcased the lengths al-Sistani is willing to go in wielding his influence. The sermon called on officials to quickly use natural gas resources to compensate for revenues lost because of falling crude prices and to cut back on vacations to boost productivity. In recent weeks, al-Karbalaie's Friday sermons, drafted by al-Sistani's office in Najaf a day in advance, have urged the government to stop procrastinating and quickly approve the 2015 national budget, warned against complacency after a string of victories against the militants, and called for an end to the theft of state-owned lands and for the purging of corruption. Al-Sistani holds the title of ``al-marjaa al-akbar,'' or the ``greatest object of emulation,'' and is venerated as a voice of reason in Iraq and among the more than 200 million Shiites worldwide. He works in austere reclusion, almost never seen in public, from his modest home in Najaf's old quarter, a maze of alleys lined by old homes, religious seminaries that attract students from across the world and stores that sell religious books and prayer rugs, jewelry, clothes, fruits and spices. He does not subscribe to the religious principle on which the Islamic republic in Iran is based, ``welayet al-faqeeh,'' or rule by the most learned cleric. Still, he has waded into politics several times since the fall of Saddam nearly 12 years ago, using his standing to keep stability throughout Iraq's shaky and often bloody shift to democratic rule, through religious edicts or closed meetings with key political players at his home. He has had a major political impact at times, but has never spoken out as persistently or in such detail as he does now. Al-Sistani is the most senior of four grand ayatollahs in Najaf, and is accorded a deeper reverence than the other three. Last year, one of the three _ Pakistani-born Grand Ayatollah Bashir al-Najafi _ issued a thinly-veiled denunciation of al-Maliki, calling on voters not to elect him. Al-Maliki's aides called it a violation of neutrality, and al-Najafi's aides complained that authorities detained several of his non-Iraqi students for visa violations in retaliation. But there was no such reaction when al-Sistani in June called for a ``change'' of prime ministers in an edict that sealed the fate of al-Maliki. ``There should be no separation between religion and politics,'' said Hassan Salem, a lawmaker from the ``Faithful'' bloc, the political arm of Asaib al-Haq, an Iranian-backed militia. ``We are in a dire need of even more intervention by the Marjaiyah,'' he added, using the Arabic word for the collective Shiite spiritual leadership. Al-Sistani's interventions resonate with Iraq's Shiite majority and even many Sunnis because of the government's perceived inefficiency and corruption. His call for jihad, the first of its kind by a top Shiite cleric in Iraq since 1920, is credited with denying the Islamic State the opportunity to overrun Baghdad and Samarra, home to a major Shiite shrine. But the flood of Shiite volunteers has also given the fight a sharp sectarian slant, and there have been numerous reports of abuses perpetrated by the militias against Sunni civilians. Al-Sistani has had to issue a string of statements condemning the militias' excesses and prohibiting the theft of property in Sunni areas. The recent creation of a state agency in charge of the volunteers _ the Popular Mobilization Authority _ has given Iranian-backed militias a degree of official recognition as well as financial and other support from the state. 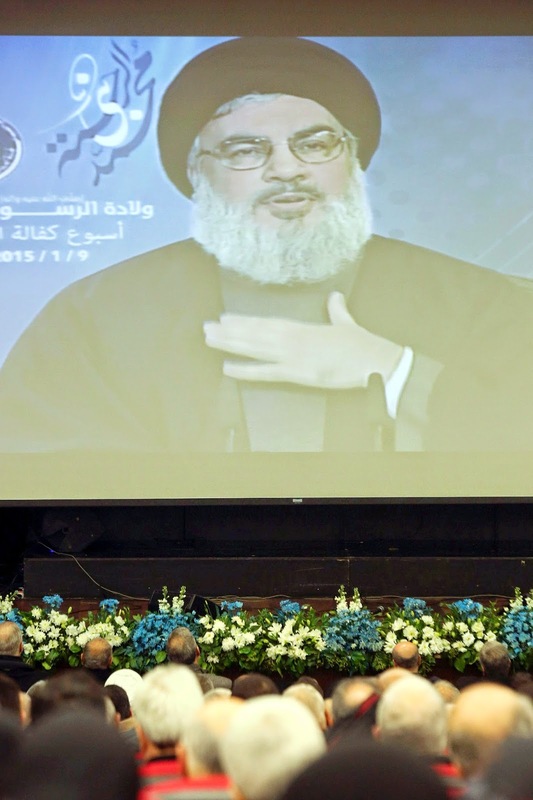 Beirut, Jan 15 - Hezbollah chief Hassan Nasrallah has threatened to retaliate against Israel for repeated strikes on Syria, in an television interview to be broadcast today. Nasrallah told Beirut-based Al-Mayadeen that his Iran-backed Shiite movement was well armed and always ready to fight Israel, according to excerpts of the interview issued ahead of its broadcast. A key ally of Syrian President Bashar al-Assad, Nasrallah said that Israeli strikes on Syria "target the whole of the resistance axis", which includes Hezbollah, Damascus and Tehran. "The repeated bombings that struck several targets in Syria are a major violation, and we consider that any strike against Syria is a strike against the whole of the resistance axis, not just against Syria," he said. Hezbollah has sent thousands of fighters into Syria to defend Assad's regime. In 2006, Hezbollah and Israel fought a devastating war that killed some 1,200 Lebanese -- most of them civilians -- and 160 Israelis -- most of them soldiers. In today's interview, Nasrallah said his movement was ready to fight a new war against Israel in Lebanon and renewed a threat to invade the Galilee region of northern Israel. Hezbollah fighters "must be prepared", he said. "When the resistance (Hezbollah) leadership... asks you (fighters)... to enter into Galilee, that means the resistance must be ready to enter into Galilee and to go even beyond the Galilee."